Mark borders of the picture. 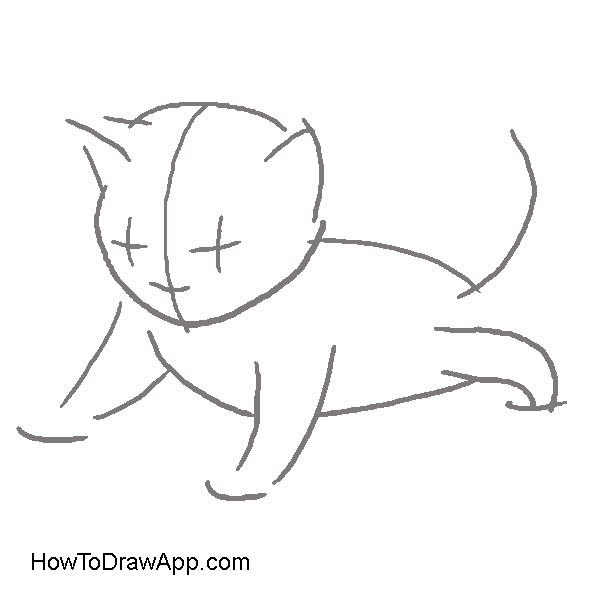 Draw a large circle for the head of the cat. 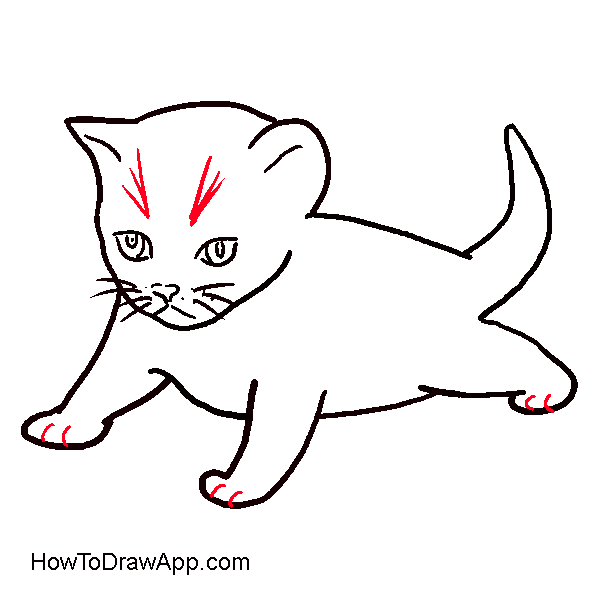 Mark the back line of the kitten, schedule legs and the tail. 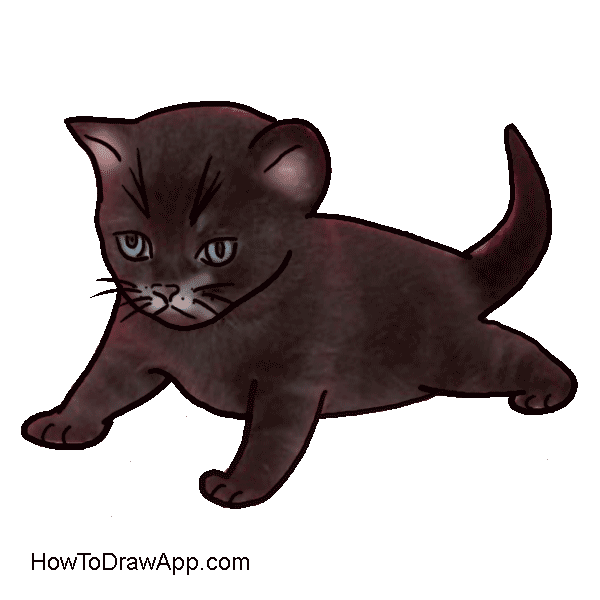 Draw a head of the kitten. 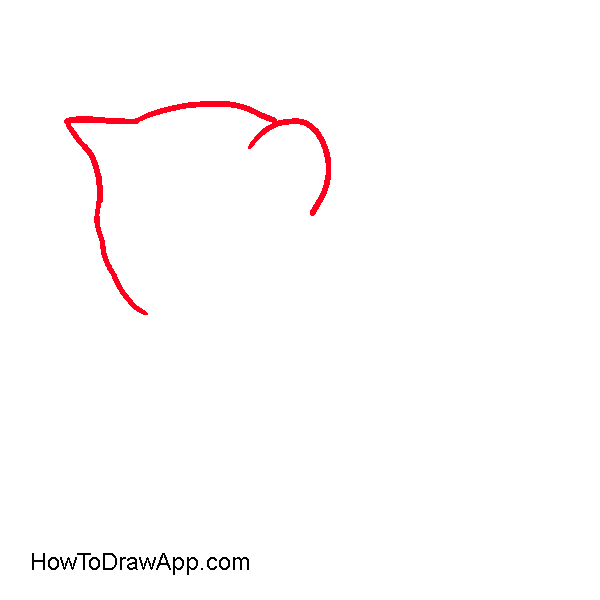 Start drawing the top of the head and the contour of ears. 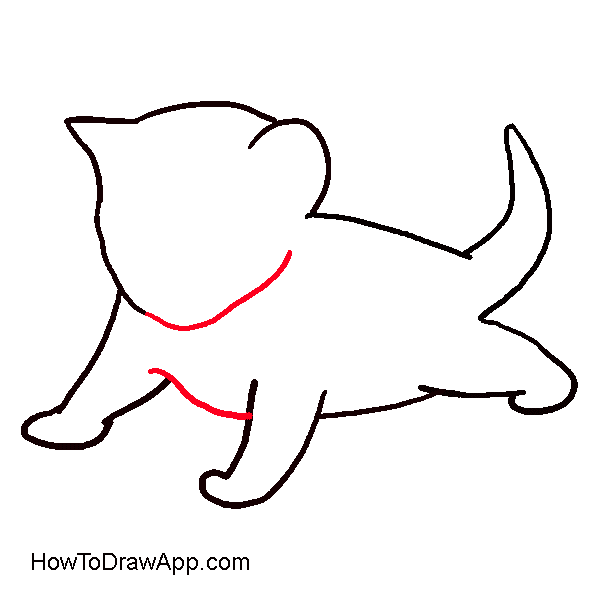 Draw the back line and a tail. 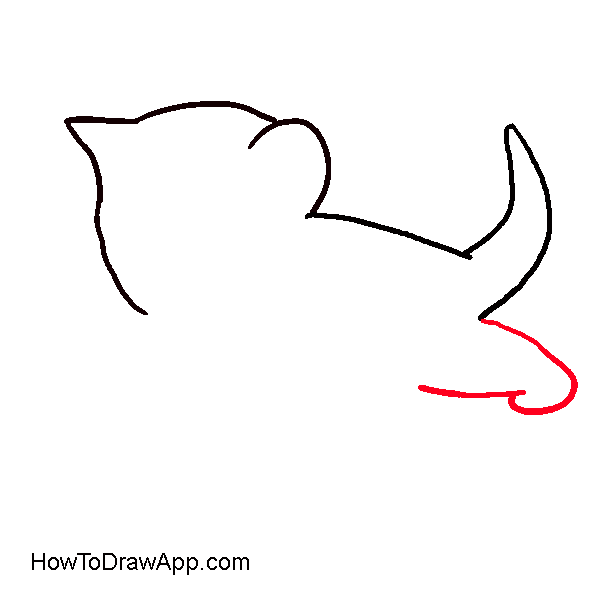 The tail is ‘in air’, looks upwards. 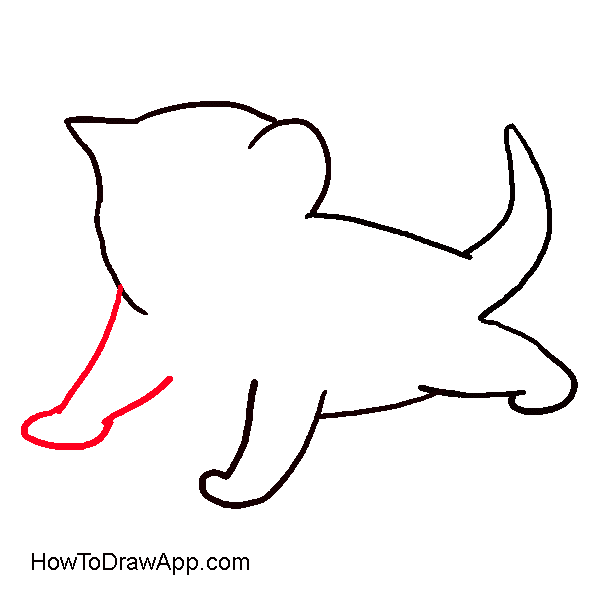 Mark the line of tummy and continue drawing the first front leg and a paw. 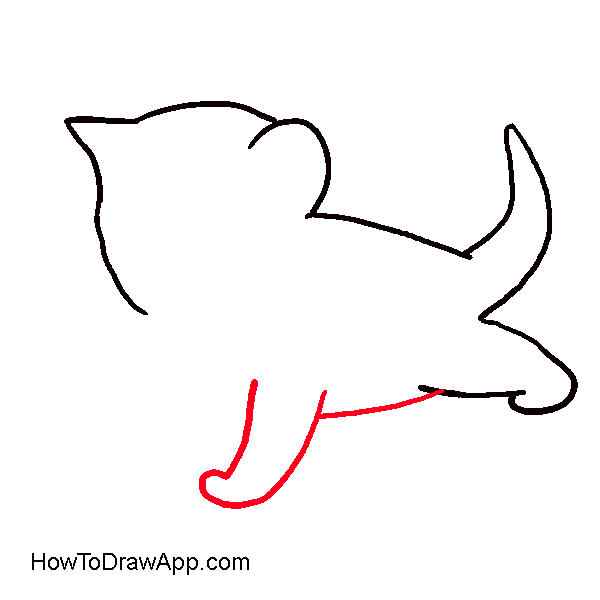 Continue drawing the second front leg and a paw. 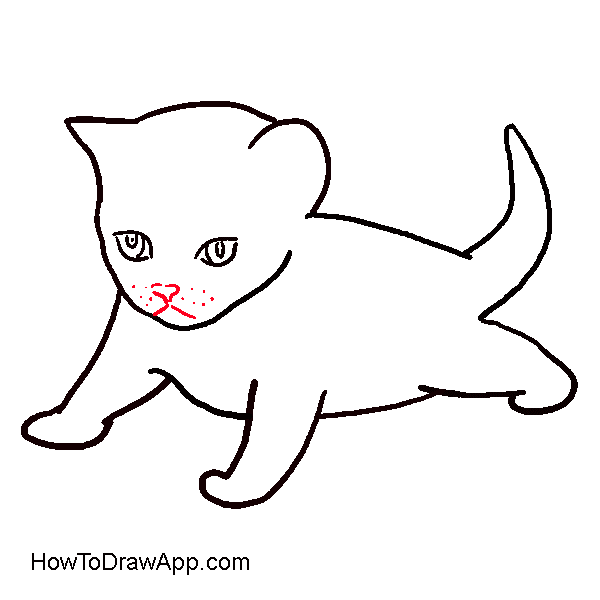 Outline the muzzle, and draw a line of chest connecting two front legs. 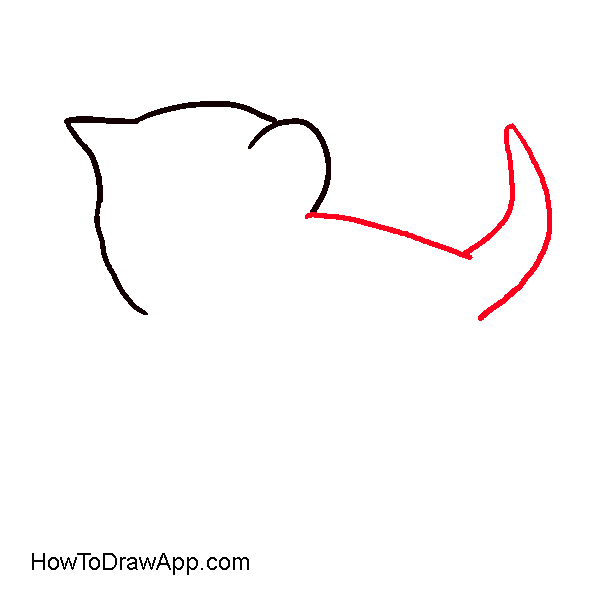 Draw a heart-shaped nose, dots for the whiskers and two small lines to schedule the upper jaw. 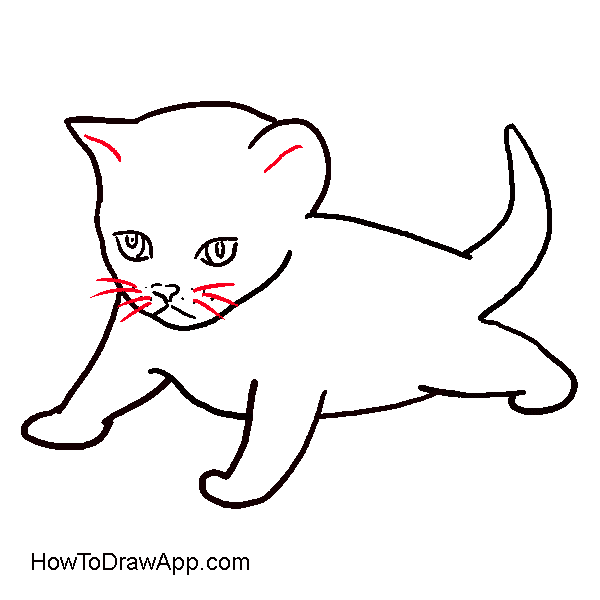 Draw 3-4 whiskers on both sides and two small lines to mark ears. Add some more lines above eyes. They look like sharp-edged triangles. 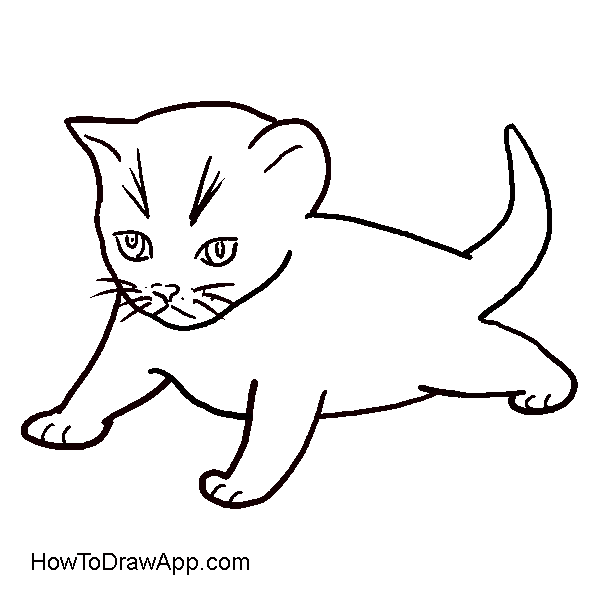 The kitten is almost ready, now you can color it. 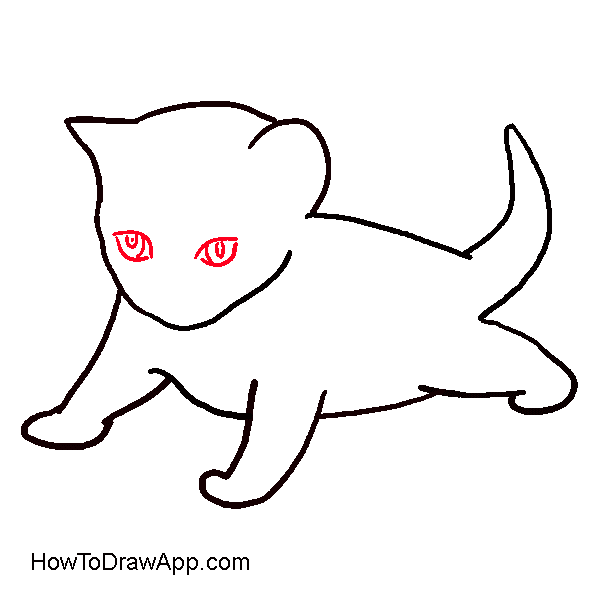 Color the kitten in black or brown, give some light and shade if needed, Paint eyes in light blue.